60x60 Video is an hour of video which is synchronized to the audio mixes of 60x60. 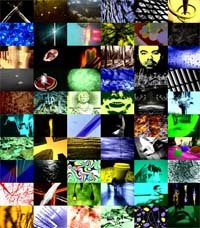 60x60 Video has collaborated with video artists, experimental filmmakers, and VJ's to pair the 60 different audio compositions with video. The unique format of 60x60 video has led to many performances in interesting places where contemporary music is seldom found. 60x60 Video has been viewed in several bars and nightclubs through out the world: 60x60's first visual collaboration with the notorious experimental filmmaker Nick Zedd was screened in New York City's nightclub "The Lobby"; Shimpei Takeda's collaboration with 60x60 was seen in "Lucky Cat" a bar in Brooklyn, New York; and Toronto's nightclub, the "Supermarket," screened one of Patrick Liddell's collaboration of the 60x60 mixes. The video collaboration of 60x60 has also been presented in dynamic ways where contemporary music is almost never presented. 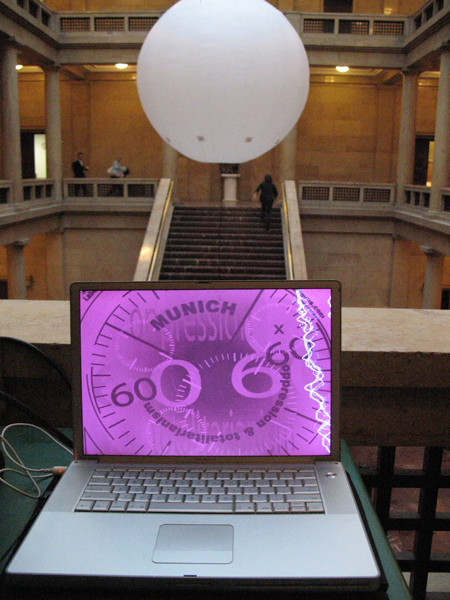 One such video performance was in Munich, Germany with glowing orbs created by projecting Soundspectrum's G-Force visualizer in Konigsplatz Munchen und Hochschule fur Musik und Theater. 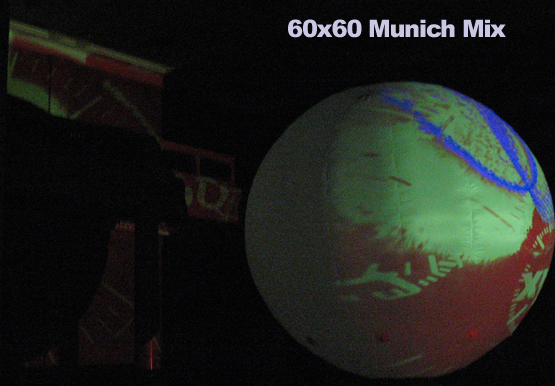 The performance was the first themed 60x60 called the Munich Mix. The Munch mix incorporated political works on the topic of oppession and totalitarianism which ranged from the current day politics of war and totalitariansim to the oppression of increasing volume decibels of music performances. 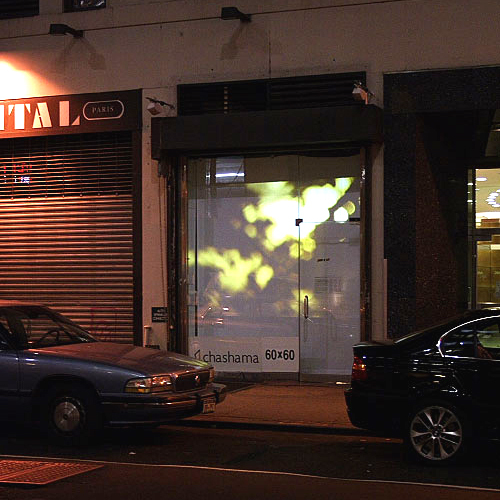 Another unique performance was with the 2005 International mix video collaboration with Shimpei Takeda in a storefront window in New York City. The performance was presented in conjunction with chashama an organization that supports communities by transforming temporarily vacant properties into spaces where artists can present their work. Through chashama's unique programming, the literally unlock and open the doors of unused spaces across the 5 Boroughs of New York City, making thousands of square feet available to hundreds of artists of all levels, ages and mediums annually. 60x60 created a video installation in a storefront window on 37th street near Broadway in New York City which ran for nearly a month; being near to both the New York City's transporatation hubs (The New York Port Authority and New York Pennsylvania Station,) 60x60 Video was experienced by hundreds of thousands of people as they commuted to and from their work places in one of the largest cities of the world. 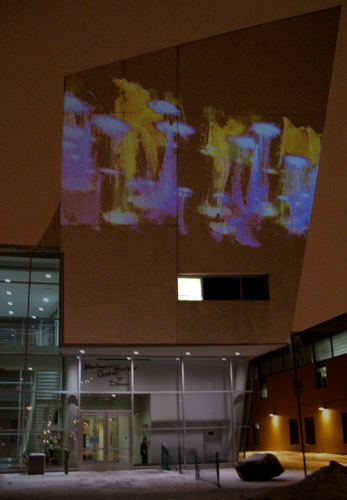 60x60 Video was also projected as an video installation on the facade of the The Barbara Barker Center for Dance at the Spark Festival. Since 2001, the SPARK Festival of Electronic Music and Arts brings renowned scholars and performers of electronic music to the West Bank Arts Quarter for an intensive weekend of lectures, performances, master classes, and multimedia installations on the latest in electronic and electroacoustic music and art. The Barbara Barker Center for Dance is a dance-dedicated facility with light-filled spaces and sweeping architecture. Built especially for University of Minnesota Dance, the building's striking design brings inspiration to everything that goes on within and without its walls. 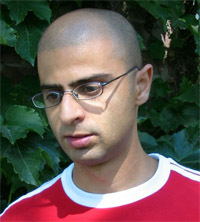 Pedro Pinheiro was born in 1974 at Oporto, Portugal. Study visual arts since he was young of age, Graphic Design, Painting and Multi-media. "...On my recent exhibitions and projects, the medias being use are: collage, multi-media installation and video art. Those multiple combinations of techniques originated on its majority by biological and organic signs and nature, have turned out in several organic compositions, ephemeral structures, multi-sensorial spaces, semiotics, imaginarium generators, videos, drawings, you name it... That try to question primitive and modern issues through subtle ironies, real or abstract and metaphors..." (Pedro Pinheiro, 2007) Relevant Socio-Cultural Experiences: 20O4-05 Brazil (13 weeks); 2002-03 India (26 weeks); 2001 Azores (2 weeks); 1998 London (18 weeks); 1996 Peneda/Geres (3 weeks); 1995 Marroco (3 weeks); In 2007 he move to Barcelona were he's a resident at La Torre. 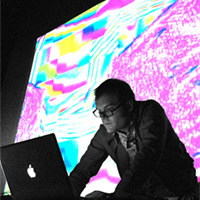 Patrick Liddell is a composer and video artist living in Chicago. His music/video is a postmodern blend of 'art' and 'popular' styles, with strong hints of electronic, ethnic, video game, experimental, and film music. His YouTube project "Video Room 1000" has received over one million views and has been featured on a host of viral websites. He regularly performs live and improvised video with many groups in the Chicago area, as well as his own video/music/art under the moniker [ontologist]. Eldad has taught electroacoustic composition, performance, history, and ear training at Concordia since 2005. He also teaches sound recording, digital audio, MIDI, synthesis, sampling, and sound for image at Formation Musitechnic since 2007. As the Canadian director of 60x60, Eldad recently organized several music, dance, and multimedia shows, including "60x60 Order of Magnitude" - a 10-hour long show at the FOFA gallery as part of Congress 2010. The show comprised 600 compositions, all one-minute-long, by 600 different composers (the most ever programmed in a single show), with 600 improvisations by 20 dancers coordinated by Stephanie Bernard, and 10 hours of live video by Michael Plante. Eldad is also the treasurer of the Canadian Electroacoustic Community (CEC) - Canada's national EA organization. 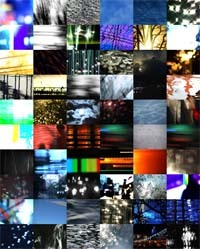 Eldad Tsabary created his spectrograph collaboration to the 60x60 (2008/Canada) mix. Born in the former Yugoslavia, Zlatko's professional and art work as a member of Belgrade's Academic Film Center where he created experimental films. Zlatko's education and professional involvement with media production inspired his creativity and enthusiasm resulting in numerous short movies, multimedia performances, public projections, video installations and live video performances. Zlatko performs at various locations by projecting and live editing a variety of his multimedia projects including pieces of his films and mixtures of new experimental videos. Zlatko currently lives in St. Louis and works as an independent film, video, and multimedia artist. Zlatko has collaborated with the 60x60 (2010/International) Mix , 60x60 (2007/International) Mix, and 60x60 (2007/Midwest) Mix. Gisela Gamper has been photographing and exhibiting for the last 30 years. 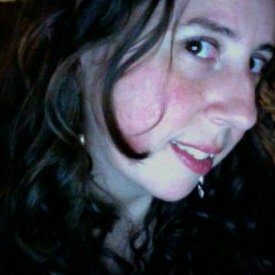 For a concert with composer/performer David Gamper in 1999, she extended her fascination with textures and collage into the realms of movement and color, developing video imagery for mixing in live performance in site specific installations. The duo See Hear Now: Visible Music emerged from this collaboration. In 2000 they performed at Roulette in New York City and in the RouletteTV series in 2003. Joined by sound artist, Stuart Dempster, they were in residency at Jack Straw Media Gallery in Seattle in 2001. In 2003 they performed at the Brooklyn College Electroaucoustic Music Festival and participated in the 2004 SOUNDPLAY festival in Toronto and in Juilliard's 2005 Beyond the Machine festival in New York City. In February 2006 the duo performs in the Sudden Sounds concert series at the Krannert Art Museum, University of Illinois in Champaign. Among Gamper's grants and numerous awards are two fellowship grants from the Vermont Council on the Arts and the Hasselblad Cover Award in 1991. Fabrications, a catalogue of Gamper's photographs, was published by the Contemporary Artists Collection of Station Hill Arts of Barrytown NY, Ltd. Gamper's photographs are in the collection of the Albany Institute of History & Art in Albany, NY and in many private collections. Gisela Gamper has collaborated with the 60x60 (2005/International) Mix. 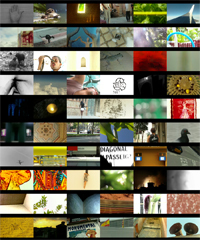 "Rob Voisey invited me to create a video for the 60x60 Project 2005. I was looking forward to exploring how I could adapt my work as an improviser to a fixed piece of music. As part of See Hear Now: Visible Music, a music and video duo, I mix my video projections in the moment to the real time performance of the musician. Shimpei Takeda is an artist who has mainly worked in the areas of: photography, video and audio-visual performance. He lives and works in Brooklyn, New York. He has been interested in capturing random organic motion, such as movement of the water's surface or light reflection. And, the primal elements' flexibility, as an ingredient to the visual medium, they are enhanced by using digital cameras, with their instant preview and long zoom lens - this allows me to realize abstract paintings in the motion. His work has shown across the U.S., Europe, and Australia including the: The Essl Collection of Contemporary Art, Weisman Museum of Art, and the Austin Museum of Art. Nick Zedd is an American filmmaker and author based in New York City. 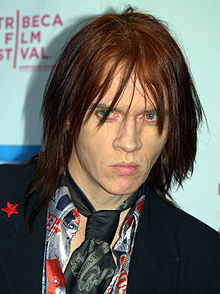 He coined the term Cinema of Transgression in 1985 to describe a loose-knit group of like-minded filmmakers and artists using shock value and black humor in their work. These filmmakers and artistic collaborators included Richard Kern, Tessa Hughes Freeland, Lung Leg, and Lydia Lunch. Under numerous pen names Zedd edited and wrote the Underground Film Bulletin (1984-90) which publicised the work of these filmmakers. The Cinema of Transgression is explored in Jack Sargeant's book Deathtripping Creation Books.